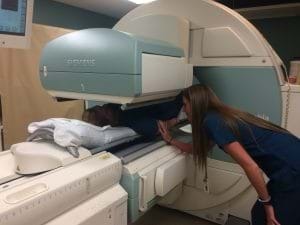 The Nuclear Medicine program at West Virginia University Hospitals is a 12 month certificate program designed to provide students with a comprehensive education in Nuclear Medicine Technology through didactic instruction and applied clinical education. 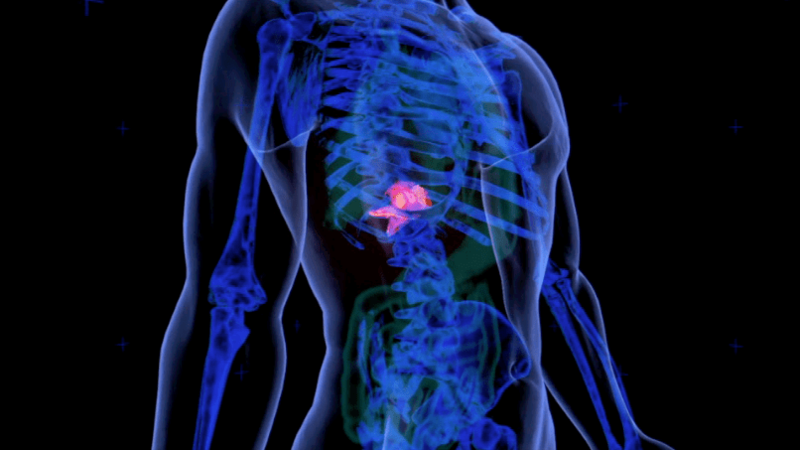 The program is accredited by the Joint Review Committee on Education in Nuclear Medicine (JRCNMT). Successful completion qualifies graduates as eligible to sit for the Nuclear Medicine Technology Certification Board (NMTCB) exam and the American Registry of Radiologic Technologists (A.R.R.T.) certification exam in Nuclear Medicine. The Nuclear Medicine program has continually modified its efforts towards programmatic changes in order to update and improve the education process and provide an optimal learning environment. These efforts have at the very least produced entry-level technologists while striving towards expectations of providing our community with highly qualified and competent professionals in our health care systems. Our facility continues to grow with technology advancements as we perform a wide variety of procedures providing students with optimal exposure in the following areas: conventional nuclear medicine procedures and specialty areas such as pediatric imaging, tumor imaging, brain imaging, various treatment procedures, and pharmaceutical research. The department utilizes three state of the art cameras manufactured by Siemens Medical Systems: 3 Symbia Intevo SPECT/CT scanners to perform an average of 4300 procedures annually. The facility also has an on-site PET/CT department which houses 2 PET/CT scanners. The PET/CT facility performs research studies and clinical patients with a combined number of approximately 3500 patients per year. Most recently, WVUH has opened the Heart & Vascular Institute which includes 2 D-SPECT cardiac dedicated scanners. In summary, because of our strong commitment to education and continued efforts to remain technologically advanced, WVUH affords students in the Imaging Sciences an excellent environment for developing academic, clinical, and professional expertise. Tuition is $1,500 per semester ($3,000 for the 12 month program). Additional costs include books, uniforms, graduation fees, certification exam fees, Trajecsys online record keeping fee, and conference registration & travel expense. Students are informed of required textbook and uniform purchases upon admission to the program. Upon acceptance into the program, students are assessed a non- refundable, $50 admission fee. All tuition and fees are subject to change without notice. The program is not eligible for Federal Financial aid but private student loan options may be available. In addition, the Program is approved for Montgomery GI Bill benefits for eligible enrolled veterans. The program is accredited to enroll 4 students per year. The deadline for completed applications is February 1 of each year and the program begins during the first week of July each year. (View Academic Calendar). Student selection for enrollment is based upon academic qualifications, personal interview, previous healthcare and/or work experience, and the individual’s projected ability to make a significant contribution to the health care profession.